Eddie Hearn was relieved when he found out Fres Oquendo would turn down an offer to fight Jarrell Miller on November 17th. Not because of Oquendo’s ability, but if the 45-year old boxer would be granted a license by the New Jersey State Athletic Commission. Oquendo was the mandatory challenger to the WBA title and is still legally obligated to give him a shot at its “world” heavyweight title due to a lawsuit over a rematch clause in the contract for his 2014 majority-decision defeat to Ruslan Chagaev. The July 2014 loss was the last time Oquendo was in the ring and turned down a $500,000 offer to fight Miller for the WBA’s world heavyweight title, after Manuel Charr is stripped due to a failed drug test. 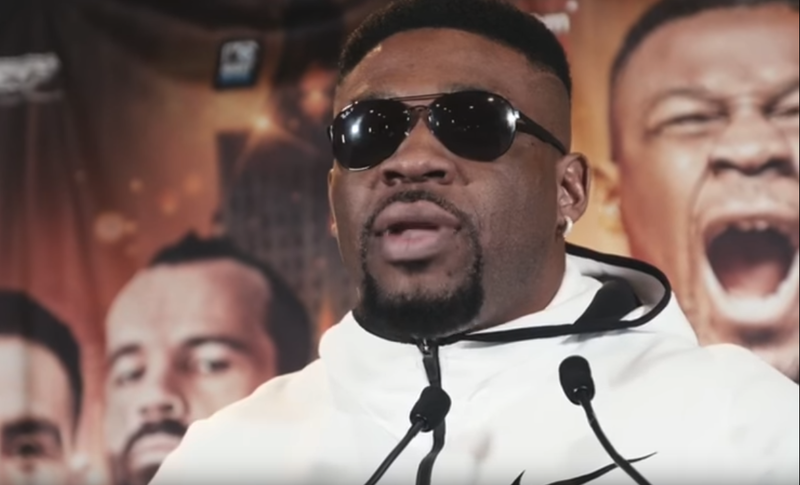 Oquendo declined Hearn’s offer because the offer came with three weeks’ notice, not enough time for Oqeundo to properly prepare for the unbeaten Miller. Oquendo also has been reported to want VADA testing for an extended period for when he gets his WBA title shot. Which is likely due to his past two scheduled opponents for the title, Shannon Briggs and Charr, would fail VADA tests prior to fight night. Originally scheduled to face Oquendo on July 29th, Charr would test positive for anabolic steroids, drostanolone and trenbolone. Hearn questioned if the 45-year-old fighter still wants his legally obligated title shot. “[This tells me] that he don’t wanna fight, and he shouldn’t fight,” Hearn said. “Actually, I’m so pleased that it’s Dinu and not Oquendo, because it’s a really awkward situation where people say to me, ‘Why are you offering him fights?’ Because I had to make him an offer, to get him to turn it down. It wasn’t like I wanna give him $500,000. I saw a report that said it was $1 million.